Nelspruit is a remote town in South Africa’s former Eastern Transvaal, surrounded by citrus groves and miles from anywhere. There’s no custom motorcycle scene to speak of, but on the up side, Nelspruit is surrounded by some of the country’s best motorcycling roads. 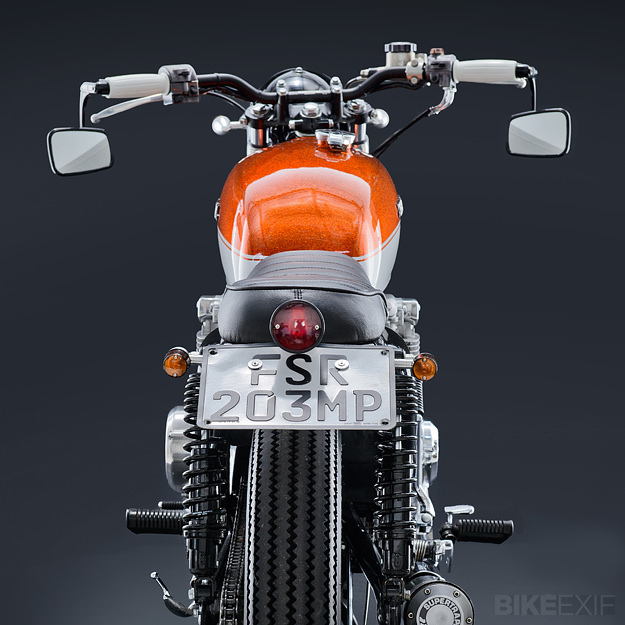 And on those roads, you’ll find Louis Nel riding this lovely Honda CB550F. Nel was bitten by the custom bug. 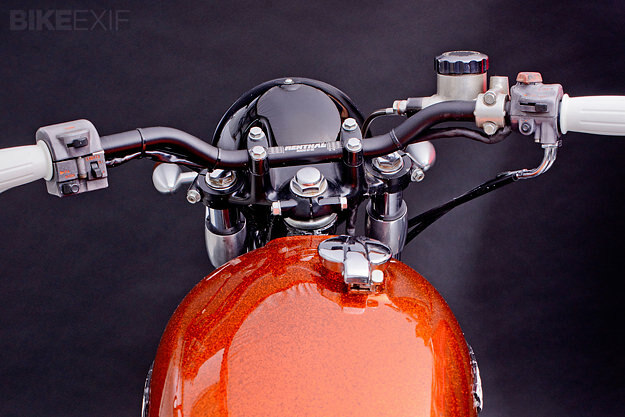 With the help of his brother, he bought and customized a CX500, learning the ropes along the way. 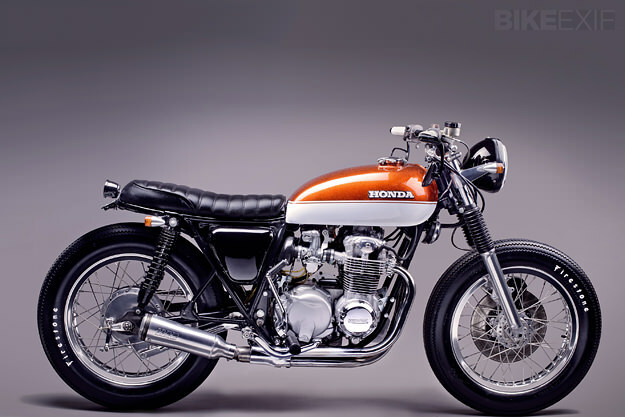 After his brother adopted the CX as a daily driver, Nel scouted around for a new project—and happened across a 1976 CB550F Super Sport. So the transformation began in Nel’s garage, starting with a grinder taken to the frame. (“To the absolute disgust of some forum members,” he adds.) 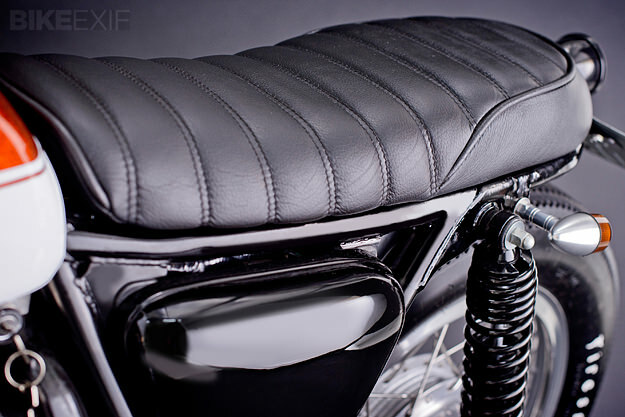 The rear end was reshaped and a new seatpan built. Once the foam was looking right, Nel got an old upholsterer to cover it in leather. 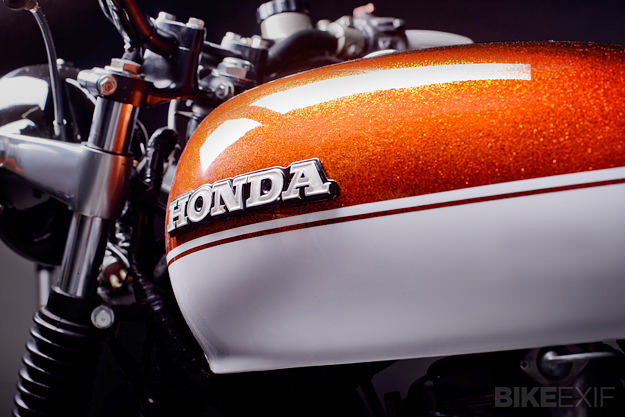 The CB550F tank was swapped out for a CB500 item, given the ‘big flake’ treatment. Nel also installed Renthal Low Road bars, plus indicators, grips and a rear light from Posh. The overhauled engine was treated to a Supertrapp muffler and the wheels were replaced by 18” Excel aluminum rims—dropping the front down an inch in size. The shocks are now Progressive Suspension 12 Series dampers. Nel now has a bike as beautiful as the roads he rides. “The emotional attachment that was missing with the commissioned restore is back in bucket loads,” he reports. 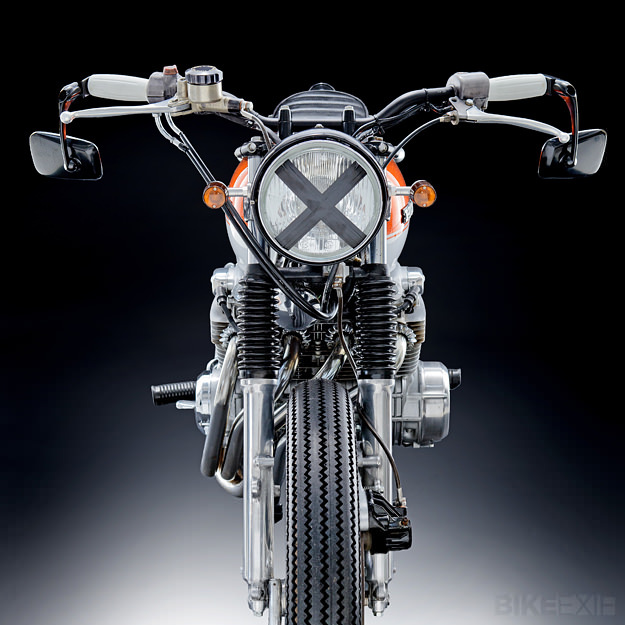 Via Garage Project Motorcycles. Photography by Sven Musica.